The Goddesses of Main Street -and Zeus! 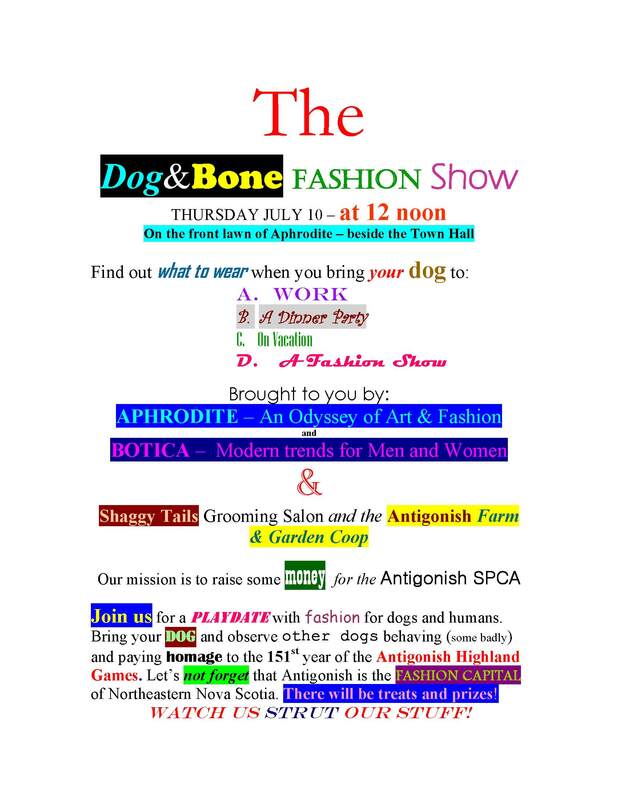 During the famous Antigonish Highland Games week – fashion purveyors Aphrodite and Botica joined forces to bring you the unforgettable DOG & BONE fashion show on Aphrodite’s front lawn. Our mission was to demonstrate what to wear to any type of summer event when with (or without) a canine companion. Here’s what we saw…. All of the outfits are available at Aphrodite and Botica. Now that summer is here in all of its glory come and find your Goddess outfit and don’t pay HST all week! This was all part of a major annual event called STROLL THE MAIN in downtown Antigonish. 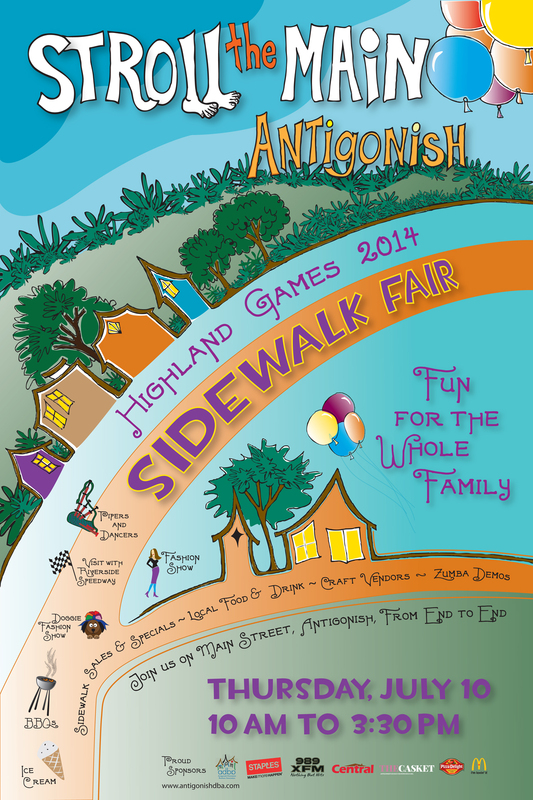 Over 120 vendors set up on the Main to offer handmade crafts, great food and activities for the whole family. 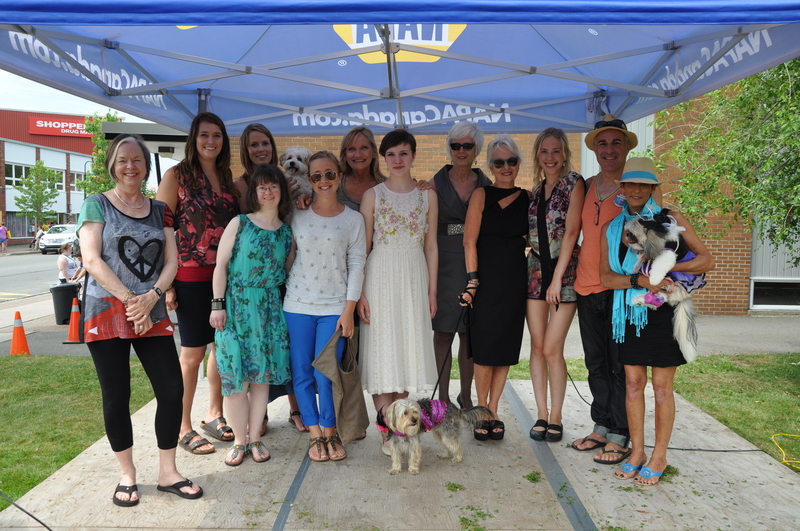 The retailers held events and store specials demonstrating the great spirit of this vibrant town! When you take your dog to the Fashion Show ….. The quintessential theme of the show – DOG & HUMAN. Here’s our model Lauren Corbit at the scene. Bring your best friend be it dog or human and enjoy the show brought to you by Botica and Aphrodite. Here’s what you can wear…. And bring your family too! 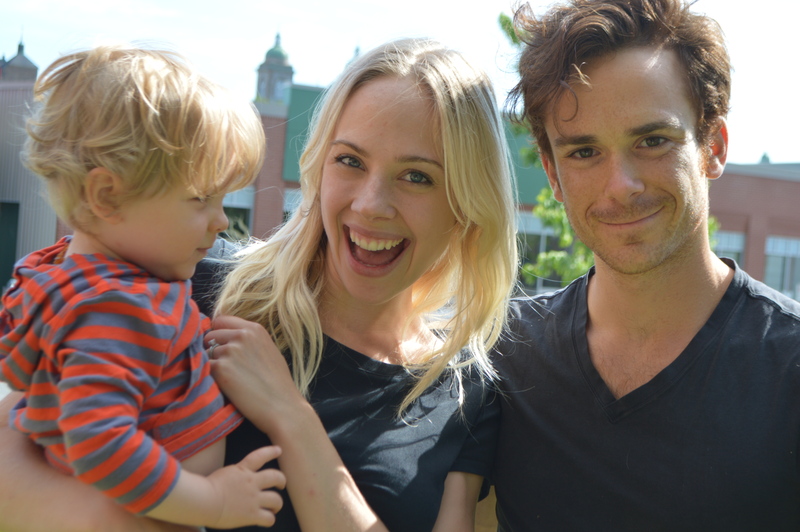 Here is Lauren with her husband John Corbit and baby John Allan. 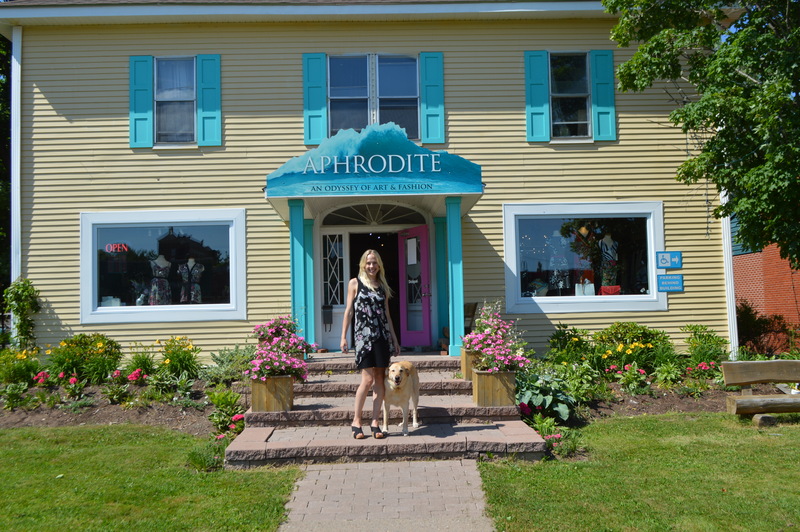 Shop HST free at Aphrodite on Thursday – and all week if you’re a blog subscriber (just let us know). Enjoy early summer mark downs as well! The Street Festival gets underway at 10 am. Make a day of it! And DO NOT miss the Dog & Human Fashion Show!